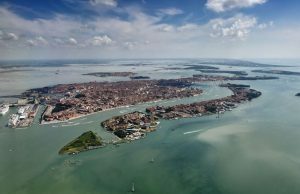 The organization of the post congress tour in Venice and its lagoon is highly valuable because of the exceptional landscape and heritage co-produce along centuries by nature and humans. However, due to the exceptionality of the place, and because of high tourism season, the post-congress tour in Venice deserves an important organizational effort. Due to these exceptional conditions, we would like to pre-enquire about the potential interest to take part to the post-congress tour in Venice. Paola Mairota (University of Bari Aldo Moro, Department of Agri-Envirornmental and Territorial Sciences), Gloria Pungetti (Univesities of Sassari and Cambridge, CBLS & CCLP). This excursion leaves from Bari on July 6th 2019 and ends in Bari on July 11th 2019. 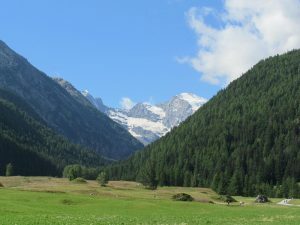 Joining two of the 53 UNESCO World Heritage Sites of Italy and two of the “Borghi Più Belli d’Italia” (Most beautiful villages in Italy), the journey will pass through different types of biocultural landscapes, where archeological sites, castles and old villages stand within protected areas of great conservation value. Expert guides will illustrate this fascinating link between biodiversity history and people, in an astonishing and contrasted interweaving of natural and cultural heritage. Delicious regional cuisine will enrich the experience. 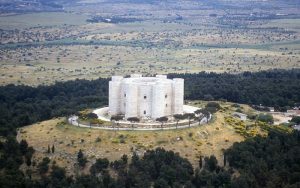 After the extent of olive groves outside Bari, participants will go across the high conservation value pseudosteppes of the Alta Murgia National Park, brimming with a remarkable diversity of plants and animals, and landmarked by the traces of Frederik II, Castel del Monte and the remains of Garagnone Castle. Travelling close to the Via Appia, within the large fields of wheat of the Bradanic Through, which conceal the amazing archaeological Roman and later ground of Venosa, homeland city to Orazio and Carlo Gesualdo, they will reach the cool area of Mount Vulture with its forests and lakes, while admiring remarkable Norman and Swabian castles of Melfi and Lagopesole. The route traversing the Regional Park of Gallipoli Cognato will reveal the outstanding beauty of the Small Lucania’s Dolomites, the charming Pietrapertosa, an ancient village of VIII century B.C. perched at the foot of a cliff, the fascinating remains of Campomaggiore vecchio, the XVII century “City of utopia”. 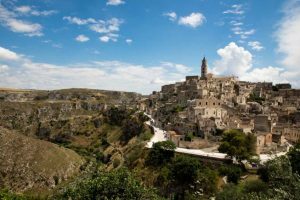 The journey will end in Matera, the unique town of “Sassi”, where the participants will dive in the atmospheres of its ravines, and into the numerous surprising events of the European Capital of Culture 2019. 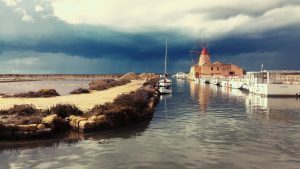 Itinerant excursion with daily bus trips and short to long walks on the different stops in southeastern Italy (Puglia and Basilicata). Independent airplane transfer to the excursion area is required (see practical info). Hotel accommodation, picnic/buffet lunches and restaurant dinners will be provided. The quote for the excursion is from 850 to 950 euro (depending on the number of participants). The excursion will be activated upon reaching the minimum number of 15 participants. Therefore, a non-binding expression of interest in the excursion is required by March 7th 2019. Please send an email to Paola Mairota (paola.mairota@uniba.it) indicating the number of people, single/double room preference and dietary requirements. The excursion will leave form Bari on July 6th and end in Bari on July 11th. From Malpensa airport at 19.40 (duration of the flight 1 hour and 30 minutes in approx.). Next morning direct flight from this airport is at 7.10. Double/twin bedroom accommodation during the trip will be provided at 3-4 stars hotels. Single bedroom, upon request but contingent on availability, may be arranged with a 270 euro additional charge. Luggage insurance is included in the quotation. Cancellation insurance is not included in the quotation, but it is highly recommended and can be required individually at an additional charge of approximately 2-4% of the quotation. The weather in July is usually warm in southeastern Italy, with day temperatures ranging between 15°-19° and 25°-37° depending on altitude. Although rain is infrequent on average, short and intense thunderstorms may occur. Provide proper walking gear and prepare both for sun and rain. More details about timing, group gathering and other practicalities will be provided upon confirmation of the excursion. The proposal concerns the on-site analysis of some archaeological sites in Sicily. Transversality in archaeology pertains to different epochs and landscapes. 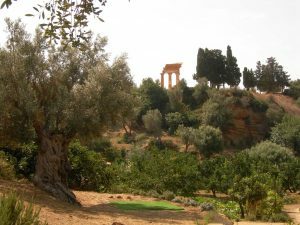 This tour promotes some of the objectives of the Ancient Siculian Crossing Path, www.trasversalesicula.it, that, according to the ancient journals of Paolo Orsi, goes from Camarina to Mozia. Accompanied by a geoarchaeologist we will visit megalithic, palaeontological and archaeoastronomic sites, underground dolmen sites, geo and archaeological parks, UNESCO world heritage archaeological sites, under hydrogeological risk sites and Natura 2000 areas. In the 6 days tour, which is added with the welcome day once arrived in Palermo, the participants will be able to analyze the motivations and the effects of the Anthropocene, related to the hydrogeological risk, to the ancient communication routes and to mutations. 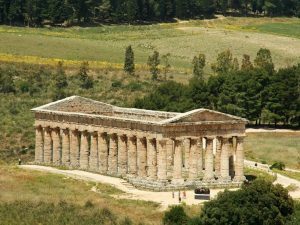 All these factors will be analyzed in order to understand the causes of the loss of some of the marked traits of the ancient landscape in some of the Sicilian Archaeological sites. For each stage, there will be an archaeologist specialist for further information on the site. 6 Overnights accommodation in a double room accommodation in a hotel (minimum 3 stars) or B & B. Single bedroom accommodation, upon request but contingent on availability, may be arranged with an additional charge. Half board (breakfast plus restaurant lunch or dinner). Outdoor picnic lunches will be also provided. The excursion will be activated upon reaching the minimum number of 15 participants. Therefore a non binding expression of interest in the excursion is required by March 31st. Please send an email to Susanna Gristina (korai@korai.it) indicating the number of people and dietary requirements. Deadline for registering for the excursion is March 31st 2019. After March 31st the cost of the excursion may be subject to surcharges. Until March 31st participation will be reserved to participants to the IALE congress only. Cancellation insurance is not included in the quotation, but it is highly recommended. It can be required individually at an additional charge of approximately 2-4% of the quotation. The weather in July is usually warm in Sicily, with day temperatures ranging between min 16°-20° and max 30°-40° depending on the place. Although rain is infrequent on average, short and intense thunderstorms may occur. Provide proper walking gear and prepare both for sun and rain. More details about the timing, group gathering and other practicalities will be provided upon confirmation of the excursion.